Rafiqul Islam (1950-2013), a Bangladeshi born Canadian language activist, wrote a letter to Kofi Annan, the seventh secretary-general of the UN, on 9 January in 1998 asking him to save world's languages from getting lost by declaring a specific day as International Mother Language Day. Mr. Islam proposed the date as 21st February to wholeheartedly and respectfully remember the sacrifice of the language martyrs who died to protect their very own Bangla language in 1952 language movement. Then, on 17 November in 1999, UNESCO formally and officially announced 21st February as the International Mother Language Day at the general assembly. From 2000, the day has been annually observed and celebrated to promote multilingualism and multiculturalism. For Bangladesh, 21st February is spotted mainly to commemorate the heroes who fought to achieve the recognition of Bangla language. So, for Bangladeshi people, this day provides them both responsibilities--one, to save their own language and two, to promote multilingualism and multiculturalism. Therefore, the day can be seen as both nationally and internationally. We all know the golden history of our language movement. It all started right after the India-Pakistan partition in 1947 when a few Bengali Muslims had the epiphany that they had the right to speak in their own mother tongue. Urdu, for them, was never a first language. On 8 December in 1947, Bengali students met on the campus of Dhaka University to propose and demand that Bangla should be made an official language. They also proposed that Urdu might be the second official language of East Pakistan since it was not rooted in that particular land. Initially their proposal was supported by the intellectuals of East Pakistan. Later, on 19 March in 1948, the shocking announcement came from Mohammad Ali Jinnah. He proudly and arrogantly declared at Dhaka Race Course Field that "Urdu and no other language" would be the state language of Pakistan. He also said that anyone who disobeyed this statement would be considered as the enemy of Pakistan. Right after his speech, all the Bengali Muslims, who even fought for the independence of Pakistan from India, became angry. A sense of betrayal and rancour hovered around their revolutionary minds. Thus, they protested. Jinnah wanted to subalternize Bengali Muslims by imposing his command. But Bengali Muslims raised their voice against the oppression and started heading towards their goal which was to achieve the recognition of Bangla language. In 1952, finally the rebels headed towards their goal. Khwaja Nizamuddin imposed his power to establish Urdu as the state language. Bengali warriors resisted against this policy and fought for their noble cause. On 21st February in 1952, finally many students got together under the alliance of All Party Central Language Action Committee and stood at the gate of Dhaka University. There the students had a collision with the police. As a result, police fired upon and killed many students including Salam, Jabbar, Rafiq, Shafiq and so on. Their sacrifice added a remarkable significance to the essence of Bengali. Bengali people can sacrifice their lives to protect their language. Those who can go this extent for their own mother language, must be respectful towards world's other languages. So, we expect to preserve our mother language and also promote multilingualism and multiculturalism. Multilingualism refers to an individual or collective ability of speakers to understand and communicate in more than one language. If we could consider our dialects as language, we would say that we all are multilingual. But, language refers to both oral and written formats. Therefore, official Bangla is a language, but Chittagongian Bangla is a dialect. However, it is always better to know more than one language. We have a lot of opportunities to know, learn and implement at least three languages. In our country, English has become a language of formal and official institutions. We cannot but know this language for our livelihood. The knowledge of English language has opened the door to know more about the world and its multidimensional aspects. We read books written and translated in English. However, in translation, sometimes, many of the core elements are lost somewhere. If we know the original language, we will understand the original culture even more. For example, Gabriel Garcia Marquez is a famous Latin American author. His books (for example, Love in the Time of Cholera and One Hundred Years of Solitude) are circulated among us in a form of translation. From the translation, we can understand the story, plot and its context. But if we knew the original language, we would know the culture as well. Language is a carrier of culture, we all know and admit it. In our country, we have many institutions, like Goethe, Alliance Francois, where we can do course on foreign languages like German, French and so on. It is a fun to know foreign language and culture. The comparative study will not only enrich our knowledge, but also will give us floor to share our experiences. I work in the Department of English Language and Literature at Premier University Chittagong. Our syllabus includes English courses along with two mandatory courses on French language and Bangla literature. I think, this is a wonderful opportunity for the learners to communicate and read in three languages at a time. The month of February is entirely dedicated to love, books and language. We have a double-standard tendency that we, all on a sudden, become so patriotic that we do not want to spend money on foreign books and culture in February. If we keep this hypocrisy aside, we can enjoy being patriotic and multilingual at the same time! So, whenever we go to the book fair, besides buying Bengali books, we can buy books written in other languages as well. 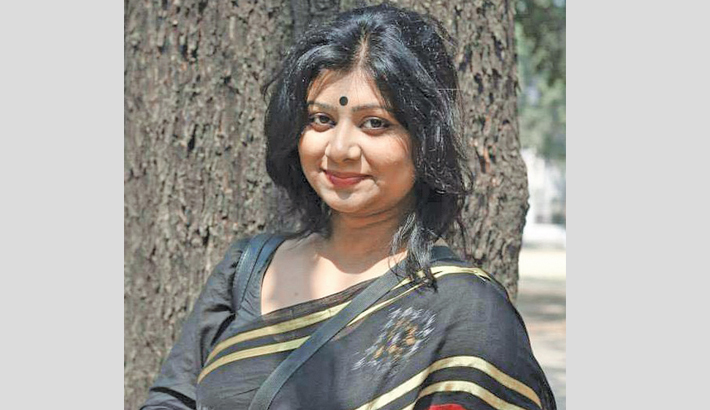 Bangladeshi authors are writing in English on worldwide topics to promote multilingualism and multiculturalism. Buying their books will not only patronise them, but also feed our own soul. So, let's promote multilingualism and multiculturalism from now on.